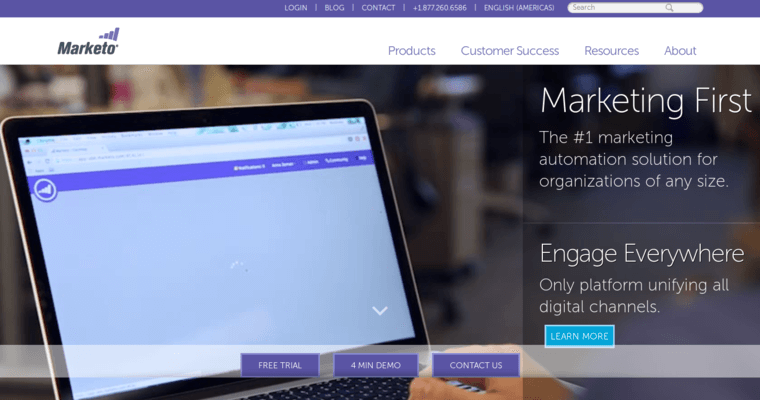 Marketo is the world leader of marketing automation for companies of every size. This software is promoted as the perfect solution for every digital marketing need. 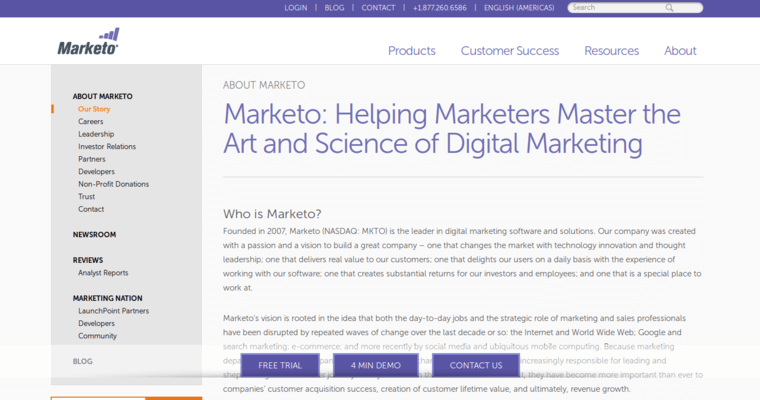 In short Marketo can manage everything from acquisition to advocacy and help businesses drive measurable results. Marketo understands that success comes in all sizes. For this reason, this online CRM can serve high-growth businesses and large enterprises with ease. The company has built an impressive client portfolio that backs up the claims they make about this CRM. 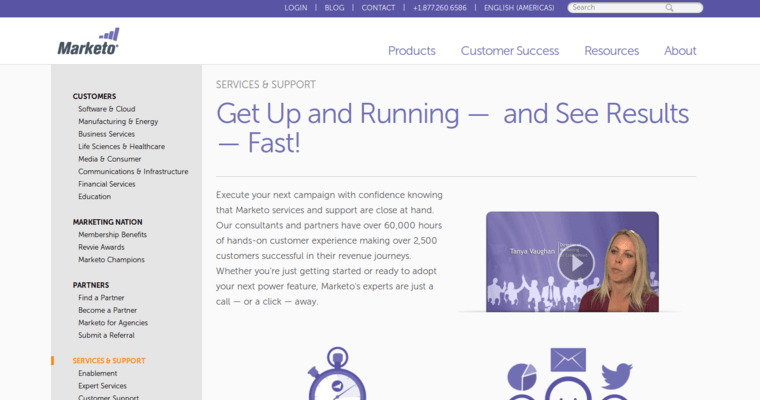 When companies give Marketo a try, they get world-class tools for lead management, email marketing, consumer marketing, and mobile marketing. For this reason, the Marketo software can fit well in markets for financial services, manufacturing business, healthcare enterprises, technology firms, media companies and academic institutions. In other words, organizations that choose Marketo get a powerful CRM solution that can scale with growth and accommodate any need.